The Devil has finally met his match: The ASA. Everyone open your creative writing journals, it's time to answer a question: "What does 'free' mean to you?" 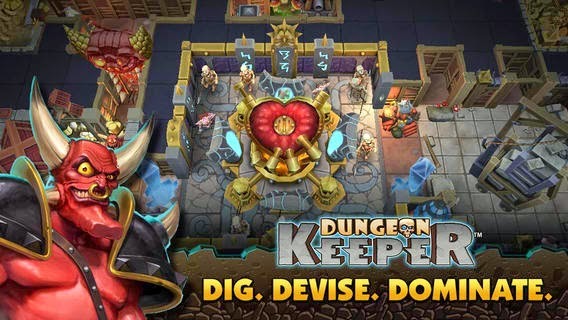 It's a question the UK's Advertising Standards Association answered in their analysis of EA's recent Dungeon Keeper remake. The game was advertised as "free," but the ASA's ruling found otherwise, saying that the ad was "likely to create a game experience for non-spenders that did not reflect their reasonable expectations from the content of the ad" and that they can no longer use the ad to promote the game. On its surface, it seems like rebuke of some of "free-to-play's" sleazier dynamics, but it also raises some complex questions about who gets to define game systems, monetization schemes, and player expectations. Adding to the comments is always free, so jump in with your thoughts! Thanks for the heads up. Checking it out now! Alright, should be fixed now. Thanks!